ISLE OF MAN – Microgaming releases Robin of Sherwood Online Slot™, developed by Rabcat and available exclusively to Microgaming operators. From the creators of Castle Builder II™ and Gnome Wood™ comes another graphically rich game with thrilling new ways to win that will take players on an adventure through medieval England. 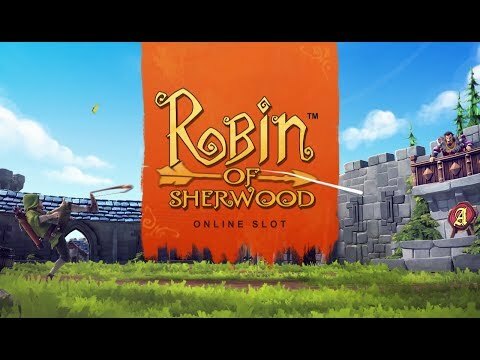 Robin of Sherwood Online Slot™ features the infamous hooded hero and his Merry Men who are on a quest for fun and incredible riches in this exclusive five by three reel, 243-way online slot. Set in a vibrant depiction of Sherwood Forest, the base game includes the Wild Turning feature which can be randomly activated. In this feature, Robin will signal his troops to fire on marked royal symbols in the selected reels, transforming them into wild symbols for the chance to earn big rewards. Landing three or more free spin scatter symbols will grant ten free spins and transport players into a faceoff between Robin and the Sheriff of Nottingham in the free spins round. During free spins, the Royal Clearing feature is enabled, which will successively increase the player’s winning chance as Robin eliminates the lowest remaining royal symbol after every second spin. After each win, players can increase their loot in the Gamble Game feature, where they have five chances to choose between the red and the green target. If Robin successfully hits the selected target, the feature will reward players by doubling their win, sending them on their merry way with bountiful prizes. Riches are waiting to be seized in Robin of Sherwood Online Slot™, which is live on desktop and mobile with Microgaming operators from Tuesday 3 July 2018. Players can expect a highly entertaining adventure based on the legend of the heroic outlaw this July as Microgaming releases Robin of Sherwood Online Slot™. This latest Rabcat creation has cleverly weaved exciting game features into one of the most legendary tales of old, incorporating outstanding visuals and rich animations to bring it into modern times. With a Gamble Game feature, Wild Turning in base game and Royal Clearing in free spins, this exclusive slot gives a variety of configurations to increase the probability of a big win with every spin. Our striking depiction of the legendary Robin of Sherwood delivers a cutting-edge gaming experience packed with thrilling features, flawless character animations, and a volley of winning opportunities. We are delighted to supply Microgaming with exclusive gaming content that hits the mark with players and operators alike.